The Cult of John the Baptist, Amiens. Supposedly part of the skull of John the Baptist was a relic at Amiens. The latin motto translates to “Here is the head of John the Baptist”. 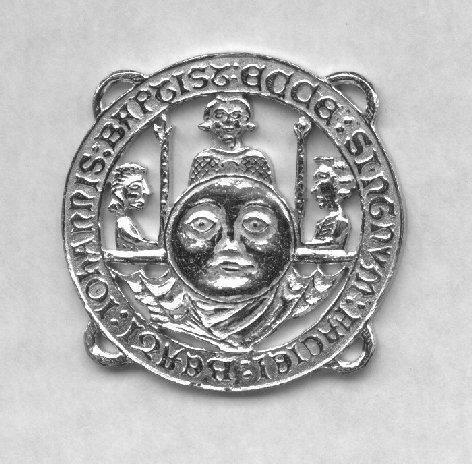 The badge shows the priest and two attendants as they draw back a cloth to reveal the Face. With loops for stitching.